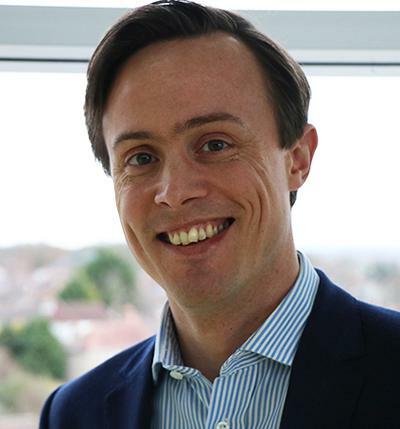 Dr David Baxter is Associate Professor of Innovation within Southampton Business School at the University of Southampton. Associate Professor of Innovation in Southampton Business School. Current research includes the innovation process, customer insight methods, and knowledge and learning in innovation. Previously a Lecturer in Innovation at Cranfield School of Management. Current research interests include the application of novel methods within the innovation process, including the impact of agile methods such as Scrum. Recent research has examined customer insight methods (capturing hidden needs), and knowledge and learning in innovation. Goffin, K., Koners, U., Baxter, D., & Micheli, P. (2010). Managing lessons learned and tacit knowledge in new product development. Research-Technology Management, 53(4), 39-51. Baxter, D., Szwejczewski, M., & Koners, U. (2013). Hidden needs: comparing ethnography and focus groups. Paper presented at 20th International Product Development Management Conference, France. Koners, U., Baxter, D., Goffin, K., & Szwejczewski, M. (2013). Uncovering the “real” customer needs: comparing innovative insights from focus groups and repertory grid technique. Paper presented at 20th International Product Development Management Conference, France. Baxter, D., Goffin, K., Szwejczewski, M., & van der Hoven, C. (2011). Does prior experience change the learning effect in a new product development simulation?. Paper presented at 18th International Product Development Management Conference, Netherlands. Szwejczewski, M., Goffin, K., & Baxter, D. (2011). Identifying customers' hidden needs: an exploratory study. Paper presented at 18th International Product Development Management Conference, Netherlands. Baxter, D., Goffin, K., & Szwejczewski, M. (2011). Uncovering the “real” customer needs: comparing innovative insights from focus groups and repertory grid technique. Paper presented at 18th International Product Development Management Conference, Netherlands. Baxter, D., Goffin, K., & Szwejczewski, M. (2010). Evaluation of an approach to uncover tacit innovation knowledge using the repertory grid technique. Paper presented at 17th International Annual EurOMA Conference, Portugal. Baxter, D., Goffin, K., Szwejczewski, M., & Koners, U. (2010). Tacit knowledge and situated practice in NPD: an in-depth case study. Paper presented at 17th International Product Development Management Conference, Spain. Goffin, K., Baxter, D., Szwejczewski, M., Cousens, A., & van der Hoven, C. (2010). Tacit knowledge development in a new product development teaching simulation. Paper presented at 17th International Product Development Management Conference, Spain. Baxter, D., El Enany, N., Varia, K., Ferris, I., & Shipway, B. (2009). Investigating innovation practices in design: creative problem solving and knowledge management. Paper presented at CIRP Design Conference 2009, United Kingdom. Doultsinou, A., Baxter, D., Roy, R., Gao, J., & Mann, A. (2009). Service and manufacturing knowledge in product-service systems: a case study. Paper presented at 1st CIRP Industrial Product-Service Systems (IPS2) Conference, United Kingdom. Gomez, M., Baxter, D., Roy, R., & Kalta, M. (2009). Through-life integration using PLM. Paper presented at CIRP Design Conference 2009, United Kingdom. Baxter, D., Doultsinou, A., Roy, R., & Gao, J. (2008). A life cycle model for Product-Service Systems design. Paper presented at 5th International Conference on Digital Enterprise Technology: DET2008, France. Doultsinou, A., Roy, R., Baxter, D., & Gao, J. (2008). Key service issues in two UK manufacturing companies from a pss perspective. Paper presented at Cranfield Multi-Strand Conference: Creating Wealth Through Research and Innovation (CMC 2008), United Kingdom. Baxter, D., Gao, X., & Roy, R. (2007). Design process knowledge reuse challenges and issues. Paper presented at CAD07, United States. Zhang, P., Baxter, D., Gao, X., & Kalta, M. (2007). Developing a design process model for the reuse of knowledge. Paper presented at DET2007, United Kingdom. Doultsinou, N., Roy, R., Baxter, D., & Gao, X. (2007). Identification of service knowledge types for technical product-service systems. Paper presented at DET2007, United Kingdom. Baxter, D., Roy, R., & Gao, X. (2007). Specifying a manufacturing knowledge reuse framework. Paper presented at DET2007, United Kingdom. Baxter, D., & Gao, J. (2005). Formalising customer requirements as an input to a design knowledge reuse system. Paper presented at 3rd International Conference on Manufacturing Research, United Kingdom. Gao, J., Baxter, D., Mountney, S., Bradfield, D., & Sackett, P. (2005). Knowledge management for new product development. Paper presented at 3rd International Conference on Manufacturing Research, United Kingdom. Baxter, D., & Gao, J. (2005). Process based design knowledge reuse through process and product representation. Paper presented at CIRP Life Cycle Engineering Seminar, France. Baxter, D., & Gao, J. (2004). Process based representation for design knowledge. Paper presented at Proceedings of the 2nd International Conference on Manufacturing Research (ICMR-2004), United Kingdom.